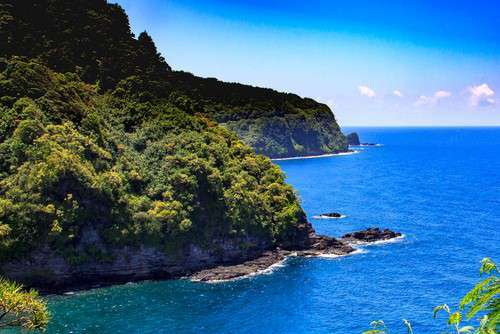 Hawaii: This destination is a classic. You have adventure, romance, and relaxation all jam-packed into this recipe for honeymoon bliss. You can hike up Mt. Kilauea or visit Oahu to gaze at the waterfalls. When it comes to honeymooning, you can never go wrong with Hawaii but if you want a little Hawaiian inspiration, Pinterest is full of it. Drink in all the pictures of the beautiful scenery and then check out this pin on the Top 10 Hawaii Activities for Honeymoons & Anniversaries. Italy: Ciao Bella! If you’re a major foodie, a lover of gorgeous scenery or you dig ancient history, this is the honeymoon destination for you. 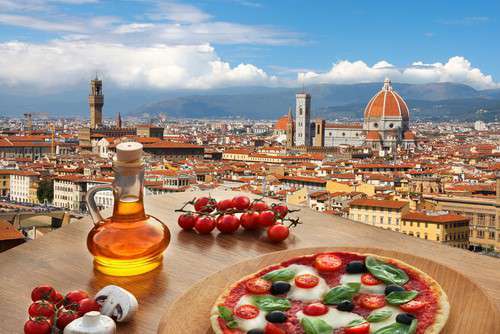 Being the birth place of pizza and gelato only makes this amazing destination even better. You and your spouse can eat all day, walk off the calories visiting all the historic sites and taking in the views, and then party all night in this beautiful boot-shaped country. The only downside is how hard it is to choose which parts of this beautiful country to visit, but that’s where our favorite travel writer comes in. Rick Steves’ Italy travel advice is the best place to start on planning your trip. Greece: Overlook the sea while staying at a cliff side resort, take advantage of the amazing beaches or learn about the birth place of the Olympic games. 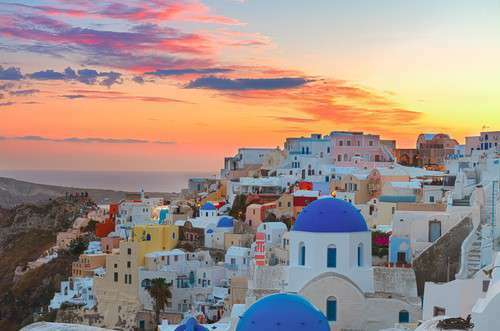 Greece’s scenic locations and rich culture will have any couple saying “Mama Mia!” Temped yet? If not, head over to Pinterest for this Greece facts & tips sheet created by Divergent Travelers, a travel blog site with helpful posts and amazing pictures. Top it off with a visit to honeymoons.com to see their top recommendations for a honeymoon in Greece, and you’ll be counting the days till you’re there. France: La Vie est Belle en France! If this top honeymoon spot doesn’t scream romance, we don’t know what does. 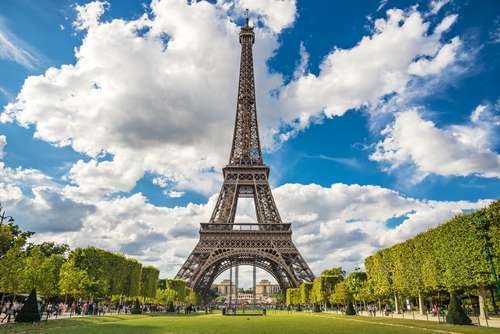 Explore the countryside, take in the museums and kiss at the top of the Eiffel tower. 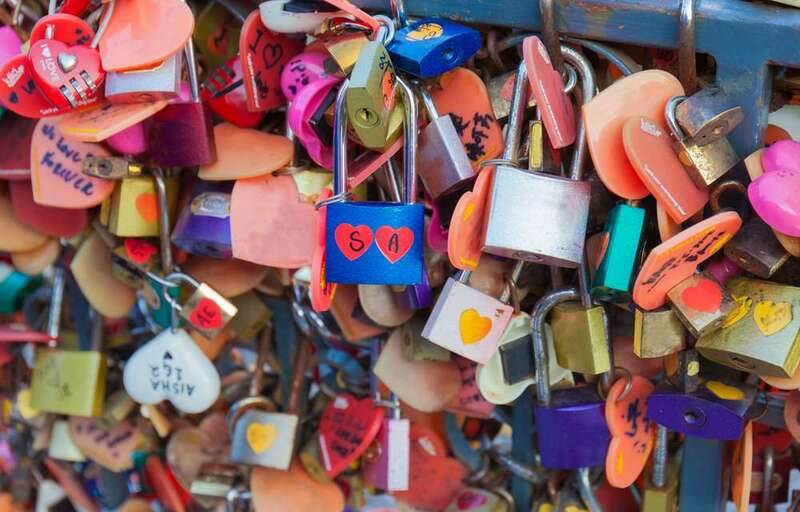 While in the City of Lights, don’t miss a visit to the iconic pedestrian bridge over the River Seine, Pont des Arts. There are so many places to see and things to do, you’ll want advice that doesn’t steer you wrong. These tips from Rick Steves will keep you on track to discovering all the romantic, can’t-miss places France has to offer. The Caribbean: With a total of 25 different countries in the Caribbean we couldn’t just pick one, so we’re featuring them all! 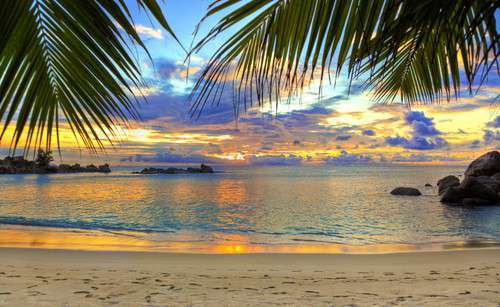 The Caribbean is a wonderful tropical getaway with its crystal clear water and white sandy beaches — all just waiting for any couple in need of relaxation. There’s something for everyone in this collection of popular honeymoon island destinations. To help you narrow down the choices, read about the 22 Top Caribbean Honeymoon Spots according to honeymoons.com and see which island gives you that irresistible tug. Any one of these destinations is sure to make for an unforgettable honeymoon, with plenty of memories you’ll hold onto forever. So what are you waiting for? Start booking your dream vacation today. Your mojito is waiting. If you need help making your dream honeymoon even dreamier, we’ve been known to make dreams come true with one of our LendingPoint honeymoon loans. Use our loan calculator and see what offers you could qualify for — it takes just minutes and won’t affect your credit.